The final version of the iOS 6.1.3 firmware is out and its unlocking procedure is also available for your factory locked Apple iPhone 5, 4S, 4 or iPhone 3GS. There are a number of methods which can be applied and include SAM unlock, X-sim, R-sim card, Gevey SIM, ultrasn0w and IMEI factory unlocking method. The version ultrasn0w 1.2.8 can be used to unlock the latest iOS firmware (6.1.3). When doing this, it is important to preserve the baseband. For more unlocking info, follow our utlrasn0w 1.2.8 unlock tutorial. As many users would know, it is possible to unlock using a Gevey SIM or similar alternates like X-SIM, R-SIM etc. However, the distasteful news in this regard is that this method cannot be used in the case of iOS 6.1.3. Updating would lead to relocking. In the case of users having the baseband 4.10.01, then it is possible to conserve the baseband and update the latest firmware. This is for Gevey sim users on iPhone 4, but it isn’t guaranteed to work. Those users which have activation tickets can unlock the latest firmware. If in the case, if the ticket has not been saved, it is advised not to update, since it would lead to relocking of the device. 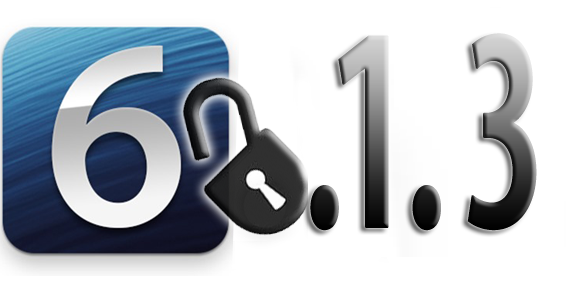 Follow this tutorial to restore the SAM unlock tickets on iOS 6.1 / 6.1.3 firmware. When it comes to the best method for Unlock, IMEI method takes precedent over others. For unlocking 6.1.3, the best ways to go for it is via the factory unlock method. The important thing about this solution is that it is permanent and there are no issues of relocking. The updating process applies to both the firmware and the baseband. With your IMEI saved in the Apple database, there is no problem at all. Different services for unlock are available, but some are more reliable and cost effective too. Furthermore, the coverage capacity is also important. Here, it is possible to unlock greater number of carriers including AT&T, Sprint, Rogers, Fido and other main ones. The firmwares include iOS 6.1.3, but it also includes the previous ones such as iOS 6.1.2, 6.1.1, 6.1 and 6.0. After the unlock, you can update to latest firmwares and basebands without the slightest worries. For getting your device unlocked on iOS 6.1.3 permanently forever, go to this link.